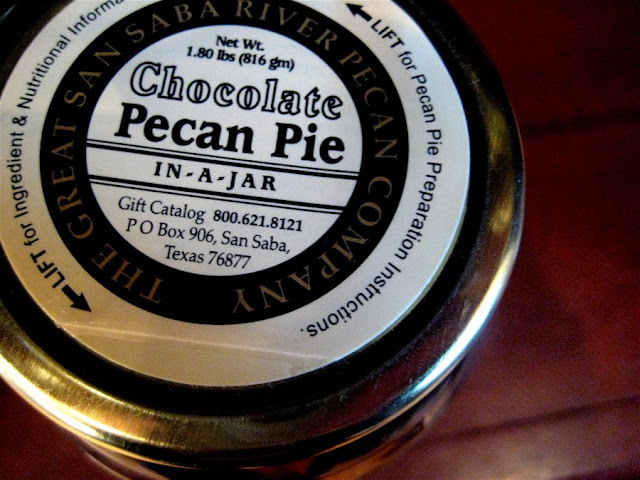 Ronckytonk: Chocolate pecan pie in a jar. No, that does not sound good. what is more important is that i thought it was PELICAN PIE. i could not imagine what that meant, but it definitely sounded as if it needed chocolate to cover the taste. you're right: pelican pie would have been more important.